What a difference it has made to reach out to patients by texting them rather than only leaving voicemails or calling. On any given day, if I text 5 people within a 10 minute period for various reasons, I get a response from at least 2 – 3 of them within a few minutes. This might not sound like a lot but this is a much better response rate in comparison if I called and left 5 voicemails. Considering how busy everyone is these days, people hardly answer the phone during the day. 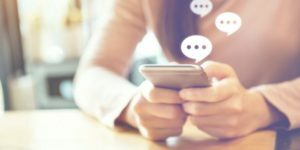 Here are some tips for texting patients and actually get more accomplished in a day by doing so. More and more dental software companies are providing text messaging features already built into the software. Additionally, confirmation software such as Lighthouse 360 or RevenueWell also provide texting capability. Utilizing any of these will help you keep track of conversations with patients which will be helpful if you need to refer back to it. Please avoid using personal cell phones! Don’t include private details in the text such as the exact procedure or a balance due or a collection threat. I’ve seen this happen in offices and the outcomes have not been pretty. You can however be very personable, with minimal information given to get your point across. Example: Hi Glenda, this is Priscilla from Dr. Smiles’ office, this is a kind reminder of your balance which is now past due. Please give us a call to make a payment and discuss the details. Thank you! If the patient responds and would like to know the balance, at this point you have permission to disclose the information. If you are not sure about what details should or should not be included, please refer to your HIPPA compliance specialist. Don’t forget to make notes in the patients chart the same way you would if you were calling. Specify the note so that whatever conversation had or message sent was done so by text. When reaching out by text, always include your name and the office or Dr’s name, so the patient knows who they are speaking with. Hope these tips help improve your efficiency! I’d love to hear from you, any comments or feedback is appreciated!